Holidays are a great opportunity to spend time with your family, and Easter is no exception. There are many activities that are fun for all family members—from grandparents to children. Decorate eggs. 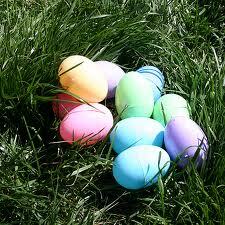 Dyeing and decorating eggs is a great Easter tradition. This is a wonderful activity for kids to share with their parents and grandparents before the Easter egg hunt. Sit down for a family meal. Holiday meals are a special time for many families. Whether you prepare a four course feast or a simple dinner, this is an excellent opportunity for the whole family to get together, share stories and have a great time. Include your elderly loved one in the preparations if you can! Play a game. There are so many options for pre- or post-dinner activities. A simple board game or card game can get the entire family involved. If your family is more adventurous, try charades or have a talent show. What are your best Easter memories? Feel free to share in the comments below.